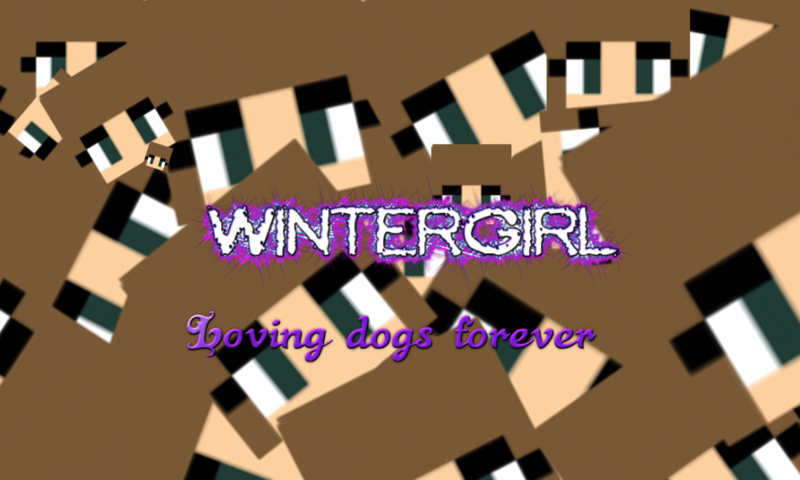 WinterGirl – Page 3 – Loving dogs forever!!! I made Sir Wolf’s Castle in Paint 3D!!! Hi everyone. It’s me, WinterDog!!!! I was going to ask WinterGirl if I could write my name at the bottom of the page like she does. I hope she says yes!!!! I have told you before WinterDog!!! NO!!! NO!!! NO!!! Fine. Do it whenever.I am bored of telling you no so do it whenever. Let’s start again. Remember, I do the emojis and write my name first. You write “and WinterDog”. Ok!!!! But can I do some emojis too???? “Let’s go to the castle quick!” shouted WinterGirl. She quickly wrote something down on a piece of paper and put it in her pocket. They ran as quick as they could and eventually got to the castle. They sprinted through the gates which had been left open. They rushed into several rooms until they got to the right one. The howling was much louder in there. They pulled open the door of the oven and took Wolfy out carefully and quickly. They turned the oven off and WinterGirl put the note she had written in the oven and closed it. They ran away and went to the Nether to see Brine, who agreed to go to the castle and scare Shield Evil and Sir Bum Smacker away. So Brine went to the castle and when Shield and Bum Smacker went to take Wolfy out of the oven, you could have heard their screams from miles away even if you were wearing headphones! A few days later, WinterGirl, Chas and Wolfy were standing on a stage in front of millions of wolves and Brine. It was even on the TV! “The king and the prince have run far away. Wolfy is too young to be king so he can be prince! WinterGirl can be princess! But we need a king or queen. There has been a vote whether to have Chas as king or to have no king or queen. The result is that… Chas is king!” shouted WolfMan, who is King of the Clouds. There was cheering and clapping from the crowd. “I need you to help me decide what to do with this.” Shield tipped his bag upside down and out fell the puppy. The puppy looked confused. They both ran to the kitchen, Shield holding the puppy. “”Wolfy Wolf” what a stupid name!”said Shield. They sniggered and threw Wolfy into the oven. “Bye, Wolfy Wolf!” they sniggered in unison. “Do you think we did the right thing?” asked Bum Smacker. Meanwhile, WinterGirl and Chas heard howling. “What is it?” asked Chas. I hope you enjoyed reading!!! One day, a horrible evil player called Shield Evil went to the Nether. It seemed to be night time because he heard snoring. Shield placed a bed and jumped on. The bed exploded. He groaned. He followed the sounds of snoring and saw a player called Brine lying on the floor, asleep. Shield looked closer and saw a puppy lying down beside Brine. He grabbed the puppy and ran off. Brine woke up and started to chase Shield. “GIVE ME MY PUPPY BACK!” Shield ran harder until he was out of Brine’s sight. He jumped back through the portal he had come through. Meanwhile, a girl called WinterGirl and a boy called EpicChasGamer were working on a small farm. They both hated working there but they had to. They were angry that they had been made to do the work but there was nothing they could do about it. Shield went back to his castle. “Where have you been, Shield Evil?” asked an untamed wolf. “It’s Shield Good!” said Shield. The wolf snorted and plodded away. Hope you enjoyed reading this blog post!!! Be ready for the next part to be posted later!!! I made a Christmas Picture in Paint 3D! And I also made a Minecraft tamed wolf in Paint 3D! WinterGirl and WinterDog, the dogpowerbywintergirl.net mascot! Don’t do it again, WinterDog!!! WinterGirl and me, WinterDog, the blog mascot! That pesky WinterDog! Why did I choose her to be my blog mascot!? I made this picture in Paint 3D. Its a Minecraft untamed wolf. It is wearing a poppy because it is 11th November.